Business Beyond Usual is a podcast from MBA students at the Ross School of Business at the University of Michigan. In each episode, classmates tackle a burning issue in the business world or business education. There are no rules, no moderators, and no boundaries. This isn’t your typical b-school podcast. We’re taking business beyond usual. Subscribe for new episodes throughout the fall and winter. #307 - What Does A "Career In Tech” Even Mean? Blockchain. Brand Management. Machine Learning. Marketing. AI. Supply Chain. Predictive Analytics. Finance. Growth Strategy. In this episode, we break it down. Leslie Chang and Adam Fasher gather a few tech-focused classmates to discuss how to identify which tech career might be right for you, how to prepare for interviews at various tech companies, and just what the heck is a “tech” career anyway. 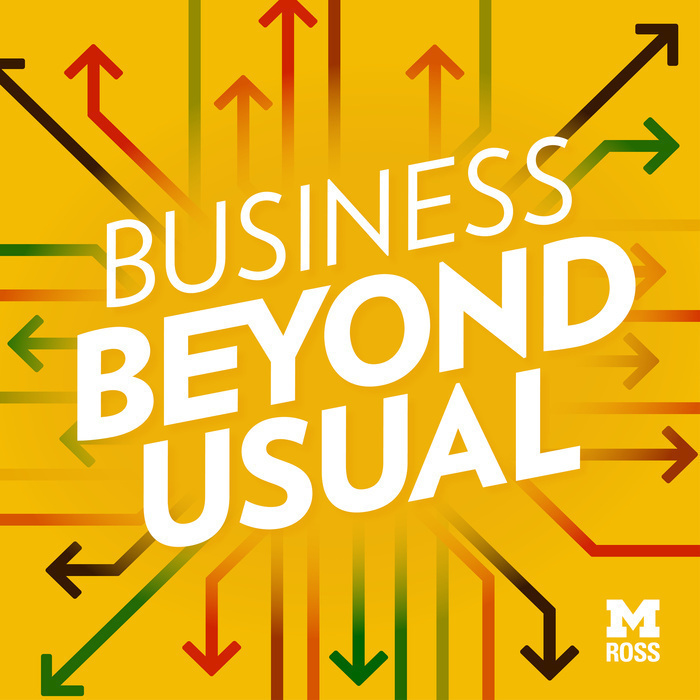 Business Beyond Usual is brought to you by the Ross School of Business at the University of Michigan.